Banner for the Zoo’s Animal Hospital. Kerry printing banner for performing arts event. Kerry using PSP to track orders. 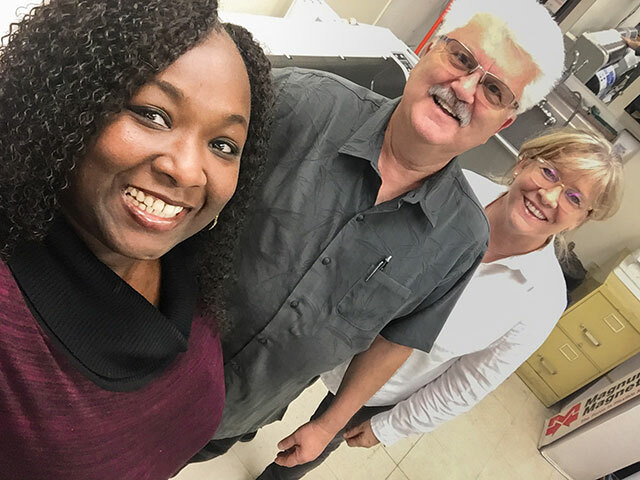 Leeann (edu), Kerry (Moorpark) and Tonnia (edu) tour the print shop. There aren’t many Print Shops where you hear the sound of primates, the drumming of an emu or the roaring of a lion as you heat up your print equipment to begin the day’s production. But, this is the exact situation at the in-plant print shop at Moorpark College (Moorpark). 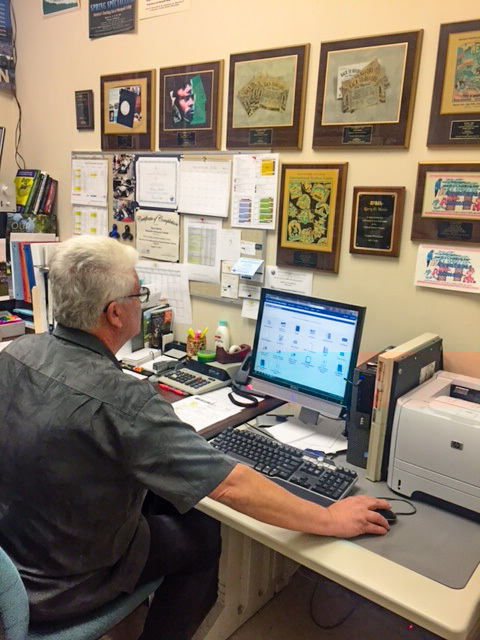 Kerry Mehle, Graphic Communication Technician, is a one man show. 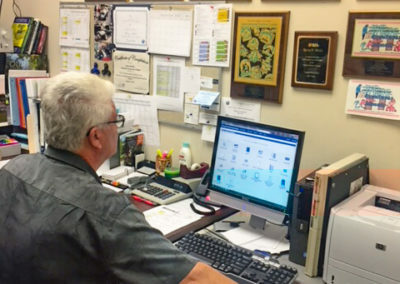 He is solely responsible for managing the entire print operation for Moorpark and he provides print services to the Moorpark, Ventura and Oxnard College campuses. 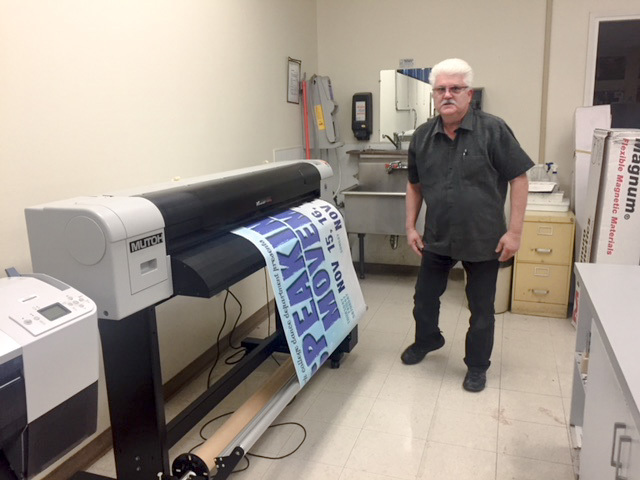 Kerry is a relatively new Print Shop Pro® User, having just purchased PSP in April of 2017. 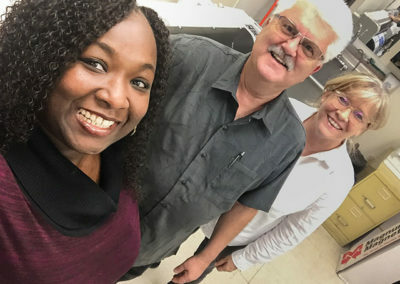 Kerry invited us to tour his print shop, college campus and campus zoo to see some of his work and to talk about his path to automation and how he manages his workload leveraging Print Shop Pro® (PSP). Moorpark College was opened September 11, 1967 and is one of the three colleges in the Ventura County Community College District, and part of the California Community College system of 109 community colleges. Moorpark is ranked 4th best Community College in the United States. The campus is located an hour NW of Los Angeles and is a short drive from the Thousand Oaks/Agoura Hills areas in the city of Moorpark, California. 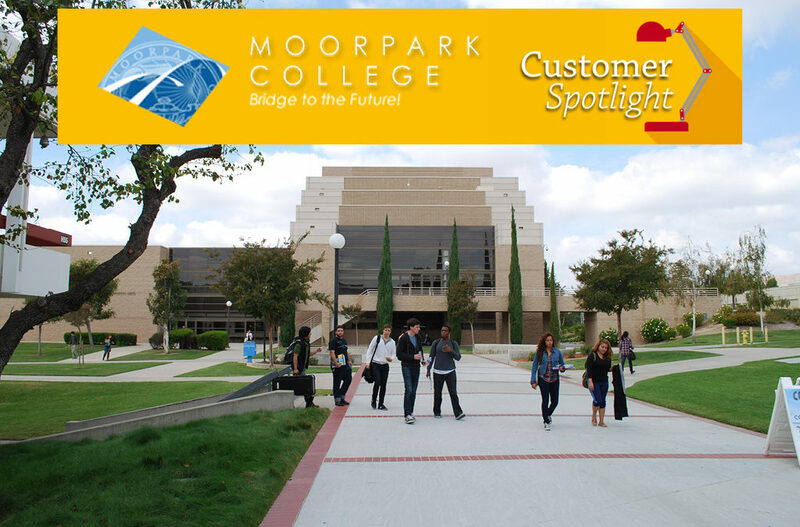 Moorpark is one of the most beautiful community colleges in California. 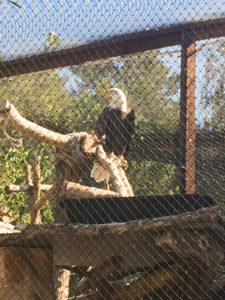 Moorpark College is also home to America’s Teaching Zoo. 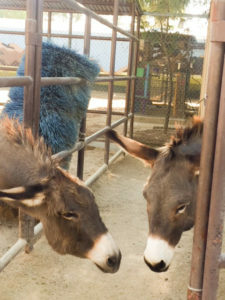 It’s Exotic Animal Training and Management program (EATM) is among the best in the U.S. and receives such high demand from interested students, both nationally and internationally, that it requires a lottery system to manage admission requests. The Zoo is home to an amazing collection of exotic animals that includes marmosets, leopard geckos, alligators, an emu, bengal tigers, african lioness, spotted hyenas, mountain lions, a wide variety of primates, birds, reptiles and many other exotic and endangered animals. Kerry started his own commercial print shop in the early 80’s which he successfully ran with a younger brother for about 11 years. He began to tire of the business and when a position opened up at Moorpark College in ’91 Kerry decided to apply. 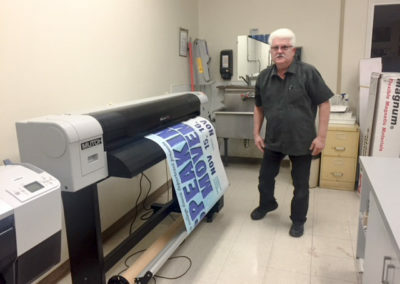 “I liked the in-plant printing environment better because I get to do a variety of tasks such as taking orders, talking with faculty and staff, dark room work, press operations, plate making, bindery work and I even do some of the deliveries. In the commercial world I would be assigned to just one or two things which made the days seem long”, said Kerry. Managing an entire print department wasn’t always easy. Kerry remembers all too well the challenges of a manual print operation. Our meeting concluded with a tour of the campus and the on premise Zoo. 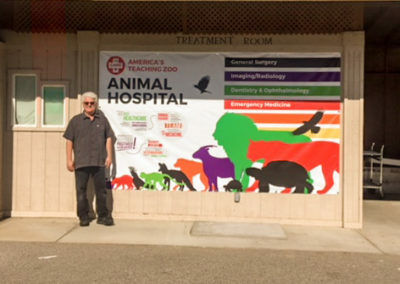 We could see Kerry’s work on full display throughout the campus on everything from zoo maps and banners to brochures and animal id tags. Kerry was able to call in a favor, as he handles so much of the printing for the Zoo, and he organized a behind the scenes tour for us. It was an amazing experience seeing all of the animals up close! Outside of printing, Kerry is happily married and the proud father of two. He also just welcomed his first granddaughter who is just 4 months old. Kerry loves to golf. Kerry says, “I play at golf. It’s just fun to be out on lovely real estate with friends enjoying the outdoors.” Kerry also does woodworking as a hobby and builds things like tables, shelves and jewelry boxes for family and friends. “I’m very goal oriented and I love to see the final product of my work. I guess that’s why I love printing so much.” said Kerry. Kerry also enjoys attending car shows and loves classic cars. Less than one week after our meeting at Moorpark, the Moorpark campus community was struck by a senseless act of violence followed by a devastating wildfire. Kerry shared that 40% of the campus community has been directly affected by these events. Our thoughts and prayers are with all in the Moorpark, Ventura and Oxnard communities and to all of the students, family and friends affected.